The roll of her eyes said it all. "I can't believe she just said that. Right now. Already. So soon. I'm sorry." I felt her nearness and it settled my heart. Somehow, I let the word roll on by before a teardrop had the chance to form and roll down my cheek. We were sitting in an office at the funeral home. The secretary, a sweet, helpful woman, had voluntarily offered to call someone on my behalf and follow up on a particular matter. And, in her defense, everything she said was said with the highest level of respect. Her conversation, a model of top-notch professionalism. But, there was that one word. As we finished our business and stepped into the fresh air, I spewed what I had been holding inside. "She used the "W" word. We haven't even had his service yet, and there's that word." And, I knew she was. Sorry we were at this place. Sorry the "w" word now somehow belonged to and was associated with me. And, there is was again. I lifted my eyes to Heaven. gently rolled down my cheek. 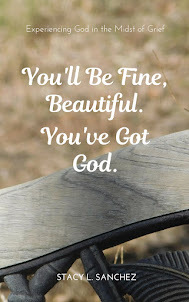 The phrase captured every single part of me. that had started the moment my husband's life had ended. 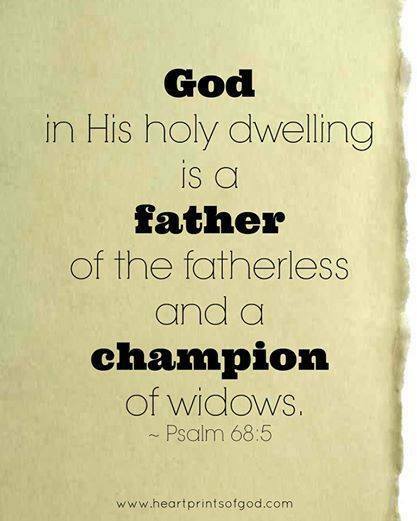 God in His holy dwelling is a father of the fatherless and a champion of widows. they are the rock solid foundation on which I am standing here and now. 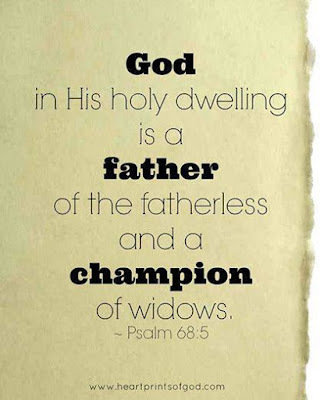 that I will forever belong to and be associated with Him. It's Not Over Until . . .